Non-surgical nose job is performed using injectable fillers to restore a more symmetric look to your nose or deliver your desired results. Controlled and precise injections can make the nose look more proportional sculpted in the facial frame. The results are instantaneous and there is essentially no recovery, with the possibility of redness and slight swelling. There are a variety of fillers available depending on your desired results ranging from Bellafill to Radiesse. Those are the preferred and ideal choices because it lasts twice as long as most other fillers Restylane and Juvederm. 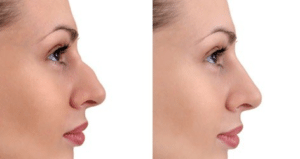 Creating a smaller nose and removing excess bridge require rhinoplasty (nose surgery) and cannot be accomplished with fillers. 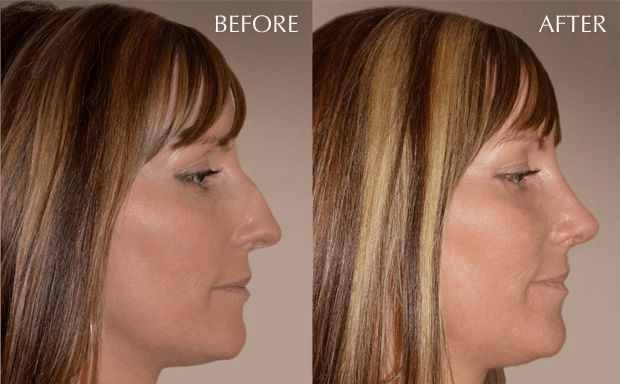 The advantages of a non-surgical nose job using fillers are the results are instantaneous, little to no downtime, and recovery. With virtually minimal down time, you can resume your normal activities almost immediately.